Hello gamers, I bring some exciting news for those who are interested in Kingdom Hearts. Square Enix recently attended a convention at Italy called the Lucca Games and Comics 2018 and released another trailer of Kingdom Hearts III. In this trailer, we see Sora, Donald and Goofy as they enter the world of Tangled. Gameplay shows them fighting against the Heartless and teaming up with the princess Rapunzel and bandit hero Flynn Rider. 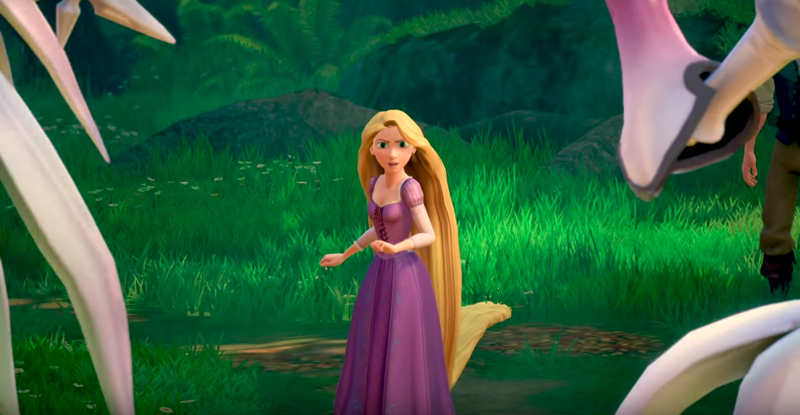 As players see the heroes travel the kingdom of Corona, watching this trailer and seeing the game feels as if you are watching the actual movie of Tangled. The trailer reveals that the game captures the same dialogue and feel of the movie. What do you think about the trailer? Are you excited for Kingdom Hearts III?